KCM Girls on Wheels is a class event which celebrates the perks of being women in all possible ways. The event brings women from different parts of lives to a common field of enjoying the game with their scooters. Girls on Wheels celebrated its 6th year with 66 participants this year. The event is a fun filled treasure hunt with each team having two members, a rider (must be a girl) and a navigator. The teams had to pass through certain routes solving different clues and puzzles. The participants were judged on the basis of the task done and the time of accomplishment. 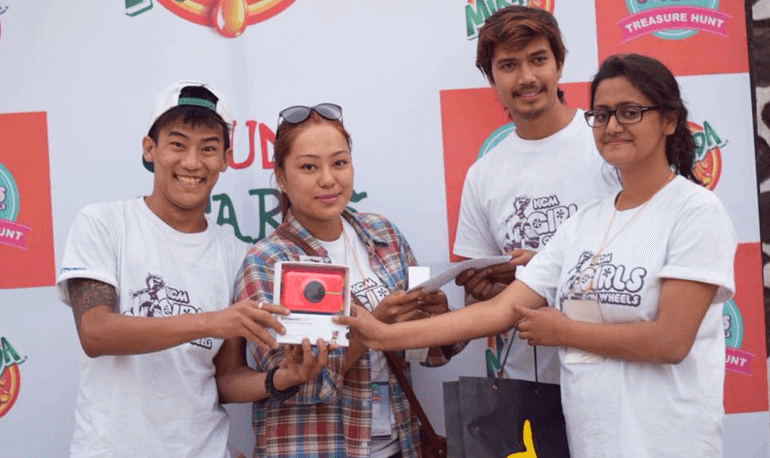 The 1st prize winners were Sumit Ale and Dolma Gurung. Similarly, the 2nd Prize was taken by Sobhan Shrestha and Rijma Shrestha and the 3rd prize went to Sudhir Bikram Shah and Samriddhi Singh Thakuri. The honored guests for Girls on Wheels were Seema Golcha, Richa Sharma and Charu Chaddha. “The event looks interesting and inspiring to me since it is organized by the students themselves. The excitement blends with enthusiasm of the event organizers as well as the participants. The girls riding on their own bike itself portrays the feeling of Empowerment.” said Seema Golcha.